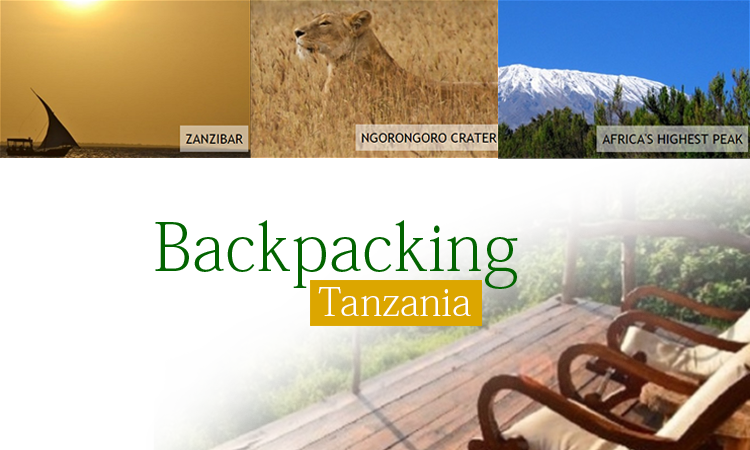 Located in East Africa, Tanzania is blessed with some of the most stunning, natural landscapes in the world. It is known for its vast wilderness, making it a perfect place for a backpacking trip. Of course, Tanzania isn’t an expensive country, yet if you want to literally see every place and ‘do everything’ you might need to draw out a little more in your budget than you initially decided. Nevertheless, a backpacking trip doesn’t necessarily have to leave you with empty pockets. So, if you have big dreams of exploring the great plains of Tanzania, but have a small budget, follow these tips below to get the maximum value from your trip. For a 1 day safari trip to the Ngorongoro Crater, you will have to pay a minimum of $700. These prices can vary, depending on the number of people (2 people – $410 per person, 4 people – $250 per person). During this trip, you will be given a tour around and inside the Ngorongoro crater where you can see spectacular views of the scenery and wildlife (that include warthogs, hippos, elephants, black rhinos, and lions). If you can afford the $100+ a night stay at the luxury camps, then feel free to indulge yourself completely, as this place is literally something else. A world apart from the mainland of Tanzania, Zanzibar is an archipelago located off the coast of East Africa. If you avoid the 5-star hotels and resorts, you can truly get lost in the beautiful sceneries of the island. The water is bluer than any other place you have seen. You can also attend the full moon party, if you are in mood for a little fun with your family. There are giant tortoises to take pictures of and plenty of food markets to make your mouth water. Prices aren’t very high and you can even take tours at the Palace museum, the Old Fort, and Foodhani Gardens in Zanzibar City for a minimum of $5. Backpacking to Kilimanjaro and its famous ‘snow-capped’ peak is another amazing experience you can enjoy while in Tanzania. The place is truly beautiful and you can even reach the top to see the iconic snow cap (which might end up being extinct by 2020). So, get a move on if you want to see it. However, only take a trip to Kilimanjaro, if you have some cash to burn. Why? Because of the finite time scale of seeing the snow cap (due to global warming), park entry and climbing fees have been increased significantly. This can range from $850 to $5000 depending on your bartering skills. People – The Tanzanians are really hospitable and friendly. You will receive a warm “Karibu” (which means – welcome) and people will try and help you as much as they can. Transport – Buses are around the standard dollar an hour (10 hours = $10). So, now that you are familiar with the tips mentioned above, backpacking Tanzania on a budget won’t be a problem. You can look for some good safari deals on our Budget Safari Daily Departures page.